Our Alternative To Traditional Eyelid Surgery. The "Madonna Eye Lift" has generated a lot of publicity lately , with many people asking how did the QUEEN HERSELF - Madonna achieve the youthful wide-eyed look without having the traditional blepharoplasty (eyelid surgery). It was revealed that she had a procedure known as the non-surgical co2 fractional laser eyelift, (Smart Skin) helping her to turn back the clock on her eyes, looking years younger and more beautiful than before. 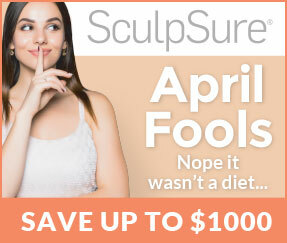 Now Northern Virginia’s Radiance Fairfax Medspa has this secret. You can get your Hollywood look here at our medspa. 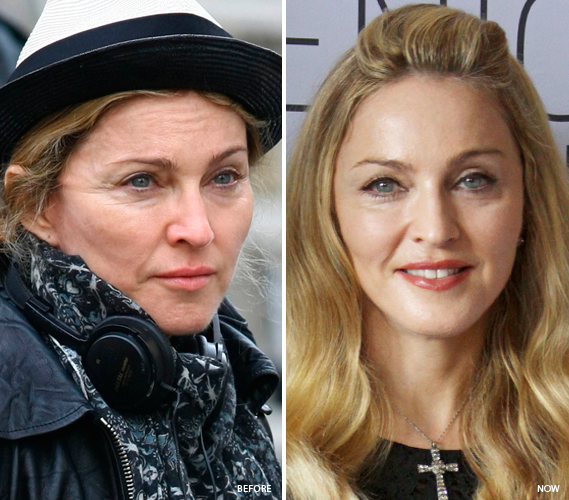 What is the Smart Skin Madonna Eye Lift? The Non-Surgical Madonna Lift also called Fractional Eye Lift, is good alternative to eyelid surgery. This procedure can help to reduce the appearance of fine lines and wrinkles around your eyes as well as lift the eyebrow for a younger looking appearance. The Smart Skin Laser is used to perform the Madonna Eye Lift to improves drooping skin, wrinkles and reduce the signs of aging around the eyes. 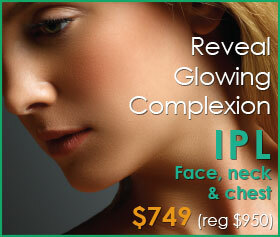 This fractional CO2 laser technology is also used to do skin resurfacing & treat acne scars. Instead of traditional eye lid surgery consider achieving a younger look by rejuvenating the skin around your eyes including your eyelids. The Madonna eye lift technique was created by Board Certified Dermatologist Dr. Bruce Katz. 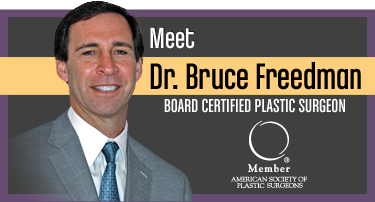 He soon realized that by using Fractional lasers he could improve the end result of many cosmetic procedures. The difference is that the Smart Skin Fractional CO2 Laser, instead of sending out a single, steady beam of light, emits light in columns. The columns address specific locations of skin, leaving surrounding areas untouched. This helps to create collagen production, tightening up your skin in areas that make the eyes look more open. There is very little skin damage, so healing process takes place much more quickly. According to Dr. Katz, the Madonna Eye Lift dramatically reduces the appearance of dark circles, crow feet and wrinkles around the eyes, while tightening the upper and lower lids.This eliminated the eyes from appearing older and tired all the time. Before the procedure is done, the patient is given eye shield to protect the eye and a topical numbing cream is applied to the eyelids. Treatments are very quick, only a few minutes at a time, and three to five sessions every two or three weeks are generally required to achieve the desired results. The Smart Skin CO2 laser fractional resurfacing, is the latest advancement over fraxel in laser skin renewal, optimizes your treatment outcomes while minimizing your recovery time. Because eyelid skin is very delicate, we must treat cautiously and less aggressively. 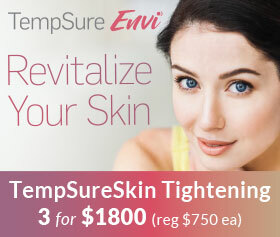 A package of 4 treatments spread over 3-4 months is the general recommended. A topical anesthetic is generally applied before the procedure, although we may recommend other approaches to make you comfortable. Metal eye shields are inserted inside the eye to protect the cornea when treating the eyelid. Most people describe it as a "prickling" sensation but is generally not uncomfortable . You will relax comfortable in our medspa and feel heat and tingling as the laser scanner moves quickly across the eye lid and surrounding orbital area. The eyes can be treated in as little as 20 minutes, with results lasting years, with proper skin care and protection. Our patients that have received the Madonna Eye Lift – from the Smartskin CO2 Fractional Laser around their eyes generally notice results after the second treatment, but continue improving up to about 3-6 months following the course of treatment. Immediately after your procedure, the treated skin will feel warm and appear to be sunburned. Your body naturally starts working by replacing the aged skin cells with new ones. You may see redness and moderate to heavy swelling, and flakiness. Over time, collagen will regenerate and restore the supporting structure of your skin. Following treatment it is extremely important to treat your skin gently and avoid direct sun exposure. Your newly emerged skin is very sensitive and must be treated gently during healing. While dependent on intensity of treatment, you may experience 3-4 days of recovery period. Because Smart Skin CO2 Fractional Laser has the distinct ability to deliver micro pulses of energy, you will quickly heal and within a few days you will be able to apply makeup on the treated surface and return to your normal lifestyle. 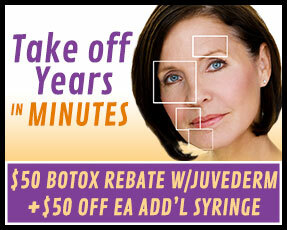 For extra enhancement you can also have Botox and Obagi eye cream to increase the desired look of open awake eyes. These are good maintenance treatments. If there is hollowing under your eyes, we suggest a cosmetic filler such as Belotero to correct this issue. Please do not use Retin A, or TriLuma for 2 weeks prior to your resurfacing procedure. Talk to one of our clinicians if you have any questions concerning products you are using. Also, minimize sun exposure prior and after your treatment.